Providing an overview, exploring unanswered questions and looking at future directions for research, contributions from top researchers give a fascinating snapshot into the future of physics. the creation and evolution of the universe, quickly won praise for its lucid style. Barrow delved further into this topic in 1994 with The Origin of the Universe. 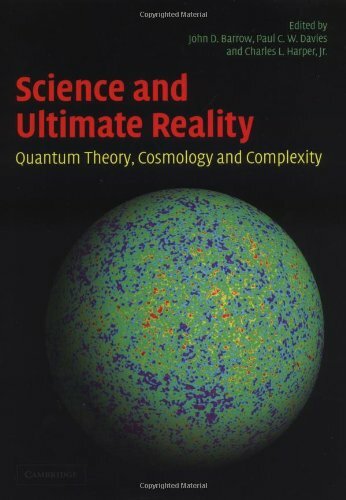 In this work he explored such questions as the possibility of extra dimensions to space, the beginning of time, and how human existence is part and parcel of the origin and composition of the universe. Barrow's other books include Pi and the Sky; Theories of Everything; and The World Within the World. He has also contributed many articles to such professional journals as New Scientist, Scientific American, and Nature. Why is nature described by quantum theory? The wave function: it or bit? Conceptual tensions between quantum mechanics and general relativity: are there experimental consequences? Quantum erasing the nature of reality - or, perhaps, the reality of nature?